Welcome to High Mountain Heating & Air! It's so lovely that you have come to visit our page! We are an HVAC company based out of Missoula and Seeley Lake that service areas as far south as Hamilton, as far north as Polson, as far west as Superior, and as far east as Lincoln. If you're looking for preventative maintenance for your existing equipment, or a quote for new, high efficiency equipment, you've come to the right place. 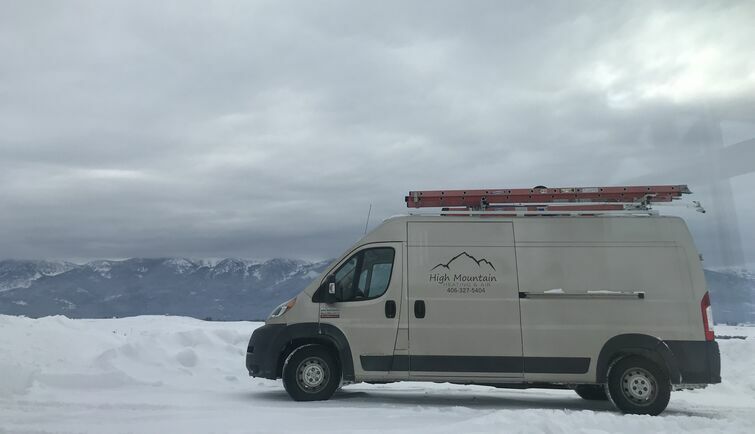 With over 18 years of combined experience, High Mountain Heating & Air, Inc. is one of Montana's premier heating and air conditioning companies. We are true locals that were born and raised in the area. We specialize in all of your home's HVAC needs from new construction to upgrading or repairing existing units. Our staff takes pride in providing our clients with the highest quality of work and customer service. If you are looking for local, experienced professionals call, High Mountain Heating & Air today. The view from our service van's parking spot at a Polson job-site.